When Vodafone warned Apple iPhone 4S owners not to update their device with iOS 6.1, it did so because the update was preventing users of the handset from making and taking calls, making and taking text messages and surfing the web. So out came iOS 6.1.1 which had problems of its own relating to syncing with the Microsoft Exchange calendar and a rapidly draining battery. 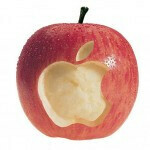 So out came iOS 6.1.2 to fix those bugs. Which it did. But it didn't fix another problem that was allowing strangers to break into passcode protected iPhones. 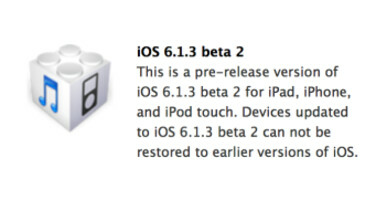 So now comes word that the second beta of iOS 6.1.3 has been sent out to developers, with the necessary passcode repair. Actually, because Apple had to scramble to send out patches when they could, this is actually iOS 6.1.1 beta 2, but was renamed to iOS 6.1.3 beta 2 and includes some changes to the Apple Maps application in Japan. Those improvements include a new preference in turn-by-turn navigation for highways over smaller roads. And Japanese Apple Maps users will now be notified when they are about to turn onto a toll road. Hopefully, Apple will push this out soon for those passcode users who are now vulnerable to having their inner secrets stolen from them. well you must have that addition as well as you post on every Apple article.. Same here. I think gallitoking is just jealous of you, PAU. can you please change your ava to a more appropriate one ? Same. It's like a turd on top of a big ol pile of sh*t! One of the few times I will agree with you. Whoever did it has talent. Well actually Apple is working on taking money from carriers for every patch pushed because ultimately it's the end users who pay for data so apple want's a share from that also on per user basis ... that's why you have so frequent patch fixes which always breaks something ... "1 Infinite Loop"
I love Android... But there is definitly a huge advantage to not allowing OEMs and carriers to modify your OS in anyway, and this is it. A fix can be coded, tested, beta tested and sent out in a matter of days. And just about everyone can get the updates. Sure, there are still hiccups here and there, but waiting months and in many cases over a year for an update is ridiculous. Hopefully, Android will see this as further proof as to why skins and bloatware need to be either Google Play apps or at the very least optional. +1 to Apple. Oh, I'm with you on that. But if you're a VZW or Sprint customer, not even having a Nexus device helps. What OEM's could do if they are so scared of all phones software looking the same..... have it come pre installed...and make it extremely easy to remove. Like a widget or 3rd party home screen/launcher. That way ppl that know how will remove it if they want. Those that dont mind will leave it as is. OEM and users both get what they want.